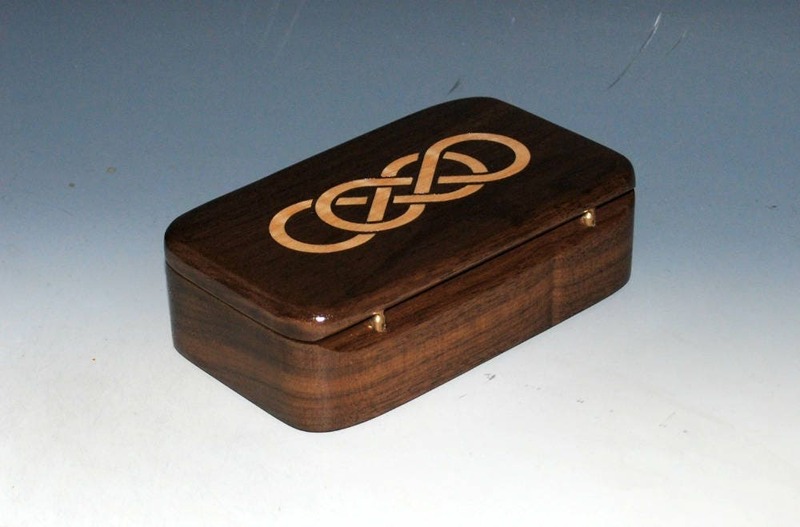 Walnut wood treasure box with an inlaid curly maple double infinity symbol. 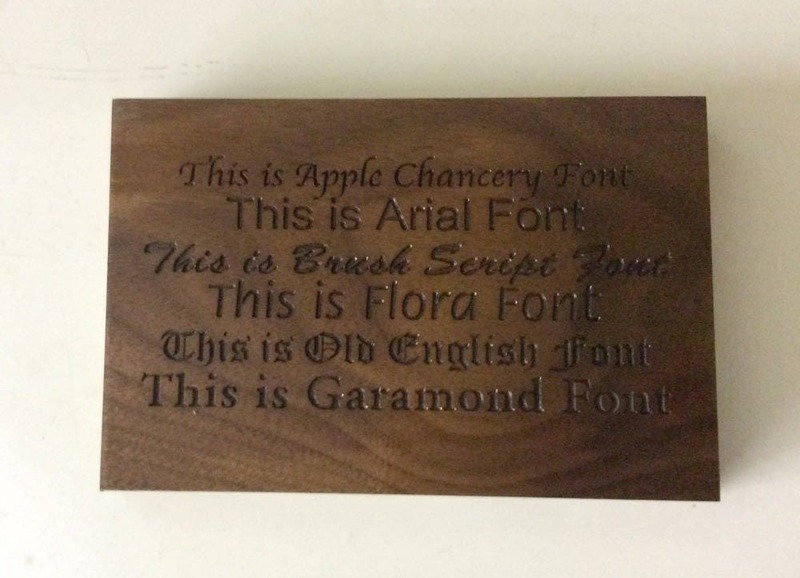 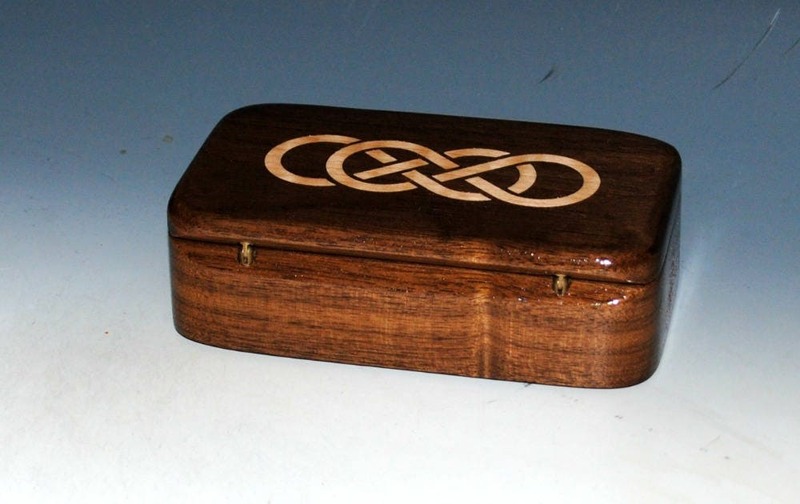 A handmade wooden box by BurlWoodBox, Al & Deb. 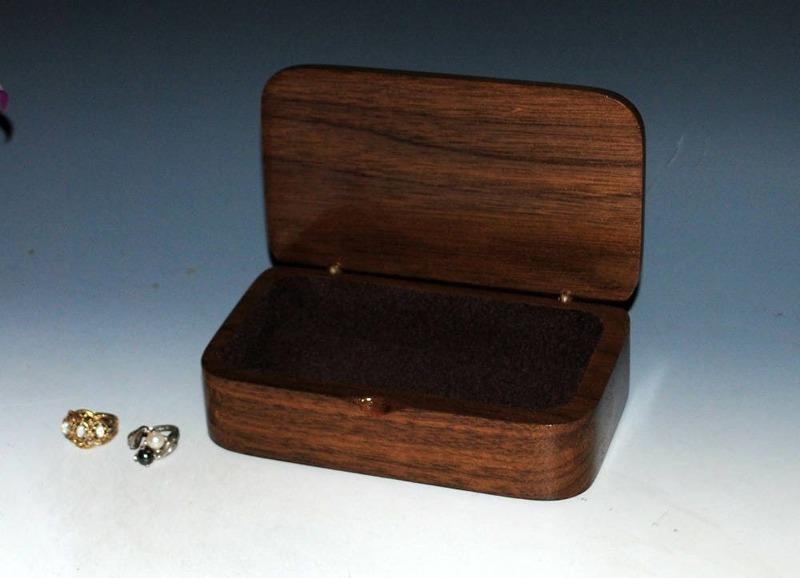 Could be a small jewelry box or as a desk box or maybe the perfect box for that special gift item. 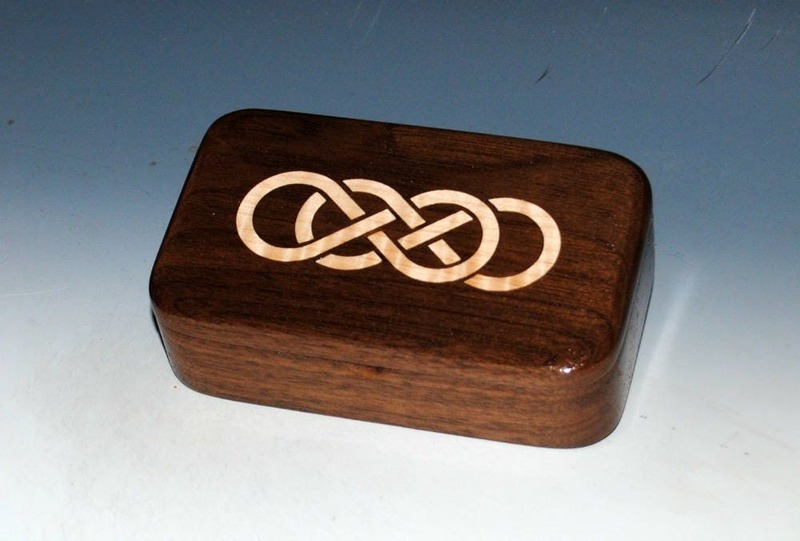 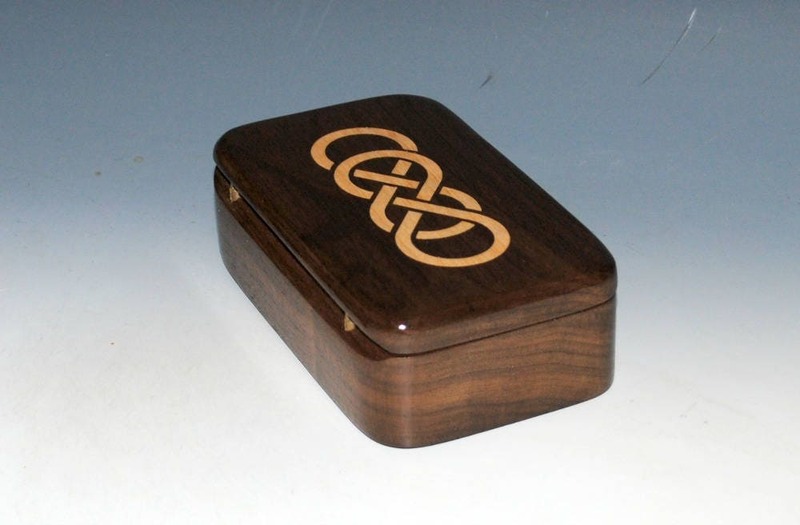 This double infinity or Celtic knot is very popular as a laser engraved embellishment to our boxes. 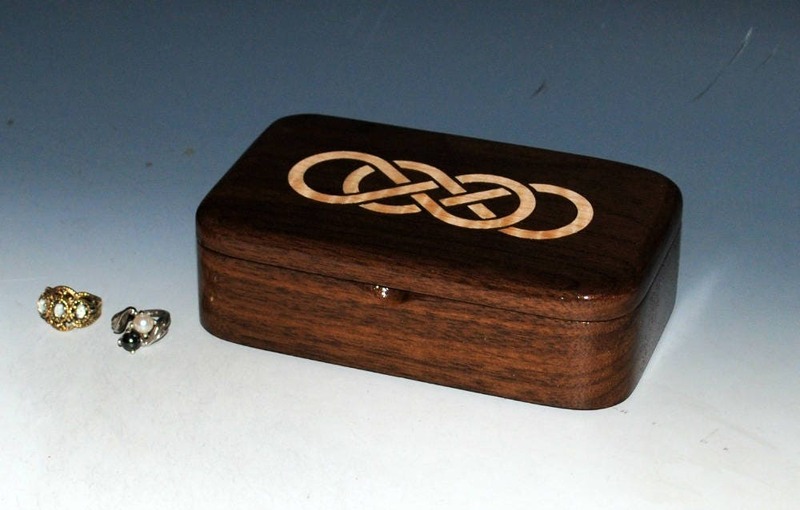 This inlay takes it one step farther and just came out fantastic ! 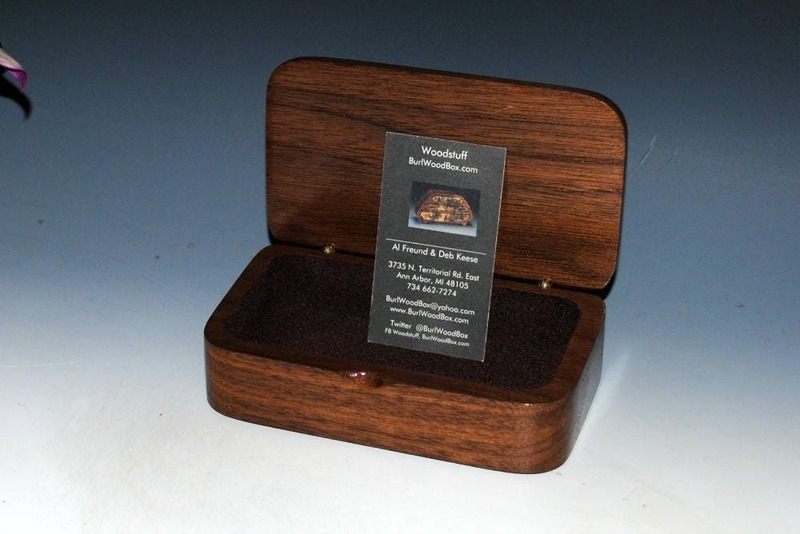 Box is lined with brown rayon flocking to compliment the dark and rich walnut.